The informant is a middle-aged mother with three boys. She grew up in Minnesota with a large family in the suburbs of Minneapolis. As stated in the interview, the informant grew up eating lutefisk for Christmas and she associates the food with Christmas dinner. 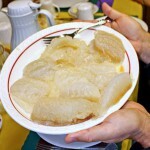 Lutefisk is a traditional dish from the Nordic Countries like Norway, Sweden, Denmark, and Finland and has been carried over to Nordic-North American areas of Canada, the Finnish community at Sointula on Malcolm Island in the province of British Columbia, and the United States, particularly in the Upper Midwest and Pacific Northwest. 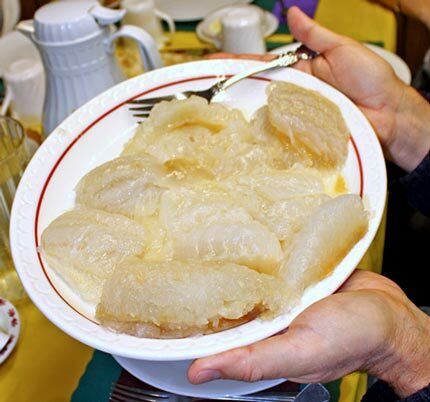 Lutefisk is made from cod, and to make it, the skin and bones need to be removed, then the fish is salted and hung to dry for several weeks until it hardens. Then, it should be soaked in lye for several days. (Merriam-Webster: Lye – strong alkaline liquor rich in potassium carbonate leached from wood ashes and used especially in making soap and for washing). 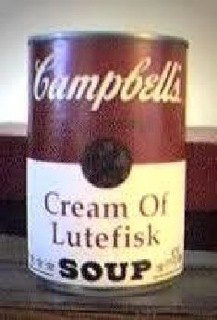 According to the informant, lutefisk can be served with gravies, green peas, mashed peas, (boiled, baked or mashed) potatoes, meatballs, lefse, gravy, mashed rutabaga, white sauce, mustard sauce, melted butter, syrup, or cheeses, though they usually serve it with mashed potatoes and butter. I think this collection really emphasizes how people can become attached to their traditions even if they don’t necessarily like them. The informant is determined to continue to have lutefisk dinner on Christmas because she feels that it ties her to her heritage and it is an important tradition for her, even though she considers the fish itself to be “disgusting,” . 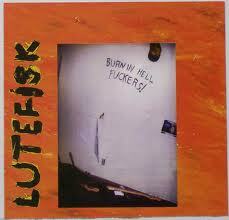 Interestingly, Lutefisk is present in many different popular culture genres, for example in movies and music. 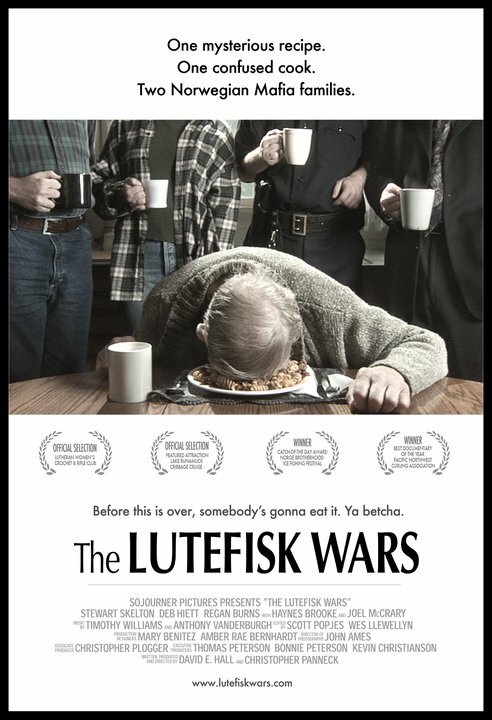 A movie was released in 2011 called “The Lutefisk Wars” directed by David E. Hall and Christopher Panneck about: “A rural frozen food delivery man is mistaken for someone else and ends up in the middle of an ancient feud between two Norwegian Mafia Families” (IMDb). There is also a music band called Lutefisk which released an album in 1997 called “Burn in Hell Fuckers.” Lastly, a parody song concerning lutefisk called “O Lutefisk, O Lutefisk” was created by Red Stangeland to the Tune of “O Tannenbaum” by Ernst Gebhard Anschutz. 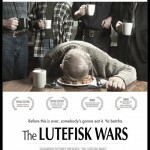 The Lutefisk Wars. Dir. David E. Hall and Christopher Panneck. Perf. Ken Baldwin, Haynes Brooke, and Regan Burns. Sojourner Pictures, 2011. Film. 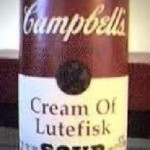 Lutefisk. Burn in Hell Fuckers. Bong Load Records, 1997. Audio CD. The informant is a middle-aged mother with three-boys. She grew up in Minnesota with a large family in the suburbs of Minneapolis. As stated in the interview, the informant learned the lore from her friend when she went to visit her on her farm in North Dakota. The informant remembered this lore because she was surprised that they did not use medicine, but it still worked for her friend’s family. I thought this was an interesting folk practice because it is very practical. This family would use the closest thing that they had on hand to deal with a particular medical problem, and these practices were still being used until at least 20 years ago. This folk practice really attests to fact that just because a remedy is a folk remedy does not mean that it is wrong.